Here’s the thing. I don’t think that the people who are responding saying all lives matter are really confused about this at all. When the River Road UU Congregation put a Black Lives Matter banner in front of their church, it was twice vandalized – the vandal cut the word “Black” out of the sign, and then it was stolen. 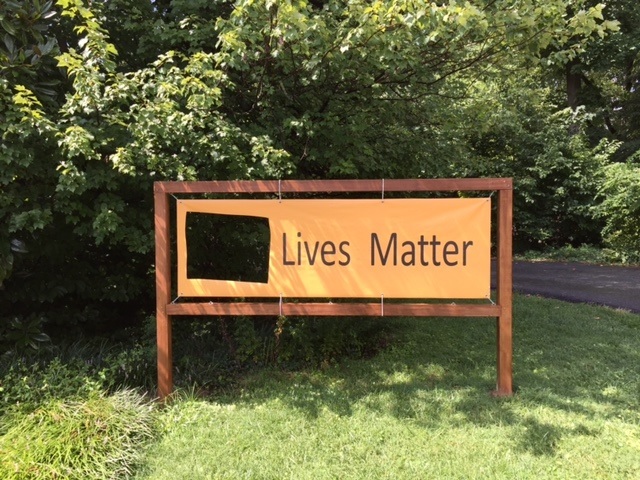 Lake Country UU Church in Wisconsin also had the word “Black” cut out. Cutting out the word "Black" isn’t saying that "all lives matter" – it’s a violently cutting out the "Black" from "Lives Matter." It’s saying that Black lives don’t matter. First Unitarian Society in Milwaukee also had their sign vandalized, with the word "Black" written over with “All” and then the banner stolen. 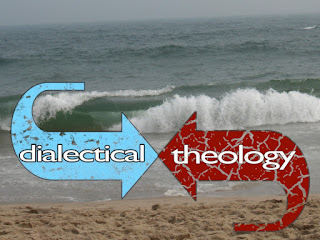 The UU Congregation of the South Jersey Shore also had "All" written on top of "Black on their sign. Sign at UU Congregation of the South Jersey Shore, photo by Betsy courtesy of Rev. Cynthia Cain. When you cross off "Black" with "All," you’re again not saying "All." You’re saying “Not black—all other.” It is saying "All" -- it's saying "All except what I just deleted: Black." If there was really just a desire to clarify, it would be as simple to put a little caret in that said “And ALL” after "Black," without the violent reaction to the word "Black." 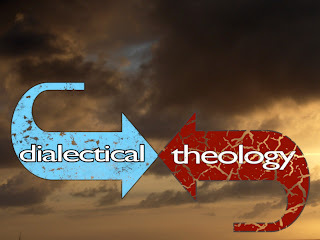 The symbolic violence is not just limited to physical banners, either. 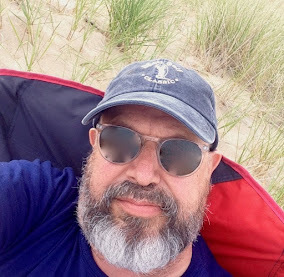 On the Facebook page of the UU Congregation of the South Jersey Shore where people were writing “All Lives Matter” and Unitarian Universalists have been responding with clarification and engagement, the response has gotten as extreme as one person threatening to shoot a Unitarian Universalist minister for saying that "Black Lives Matter." There's simply no way that people can simultaneously be truly believing that all lives matter and at the same time be threatening to kill someone. The banners have made it clear. 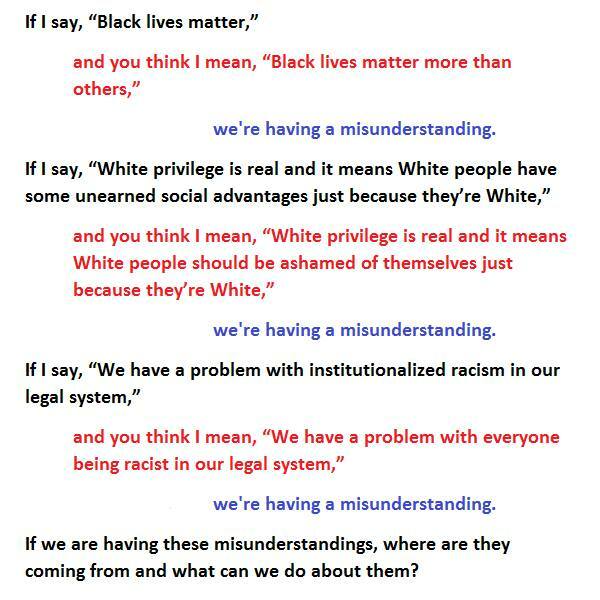 There’s no confusion here what we mean when we say, “Black Lives Matter.” This push-back of “All Lives Matter” isn’t about clarification of a misunderstanding. It’s about an angry response to anti-racism challenging the white cultural supremacy. It’s as simple as that. Thank you, Cynthia. This helped me find words for what I've been thinking about lately. 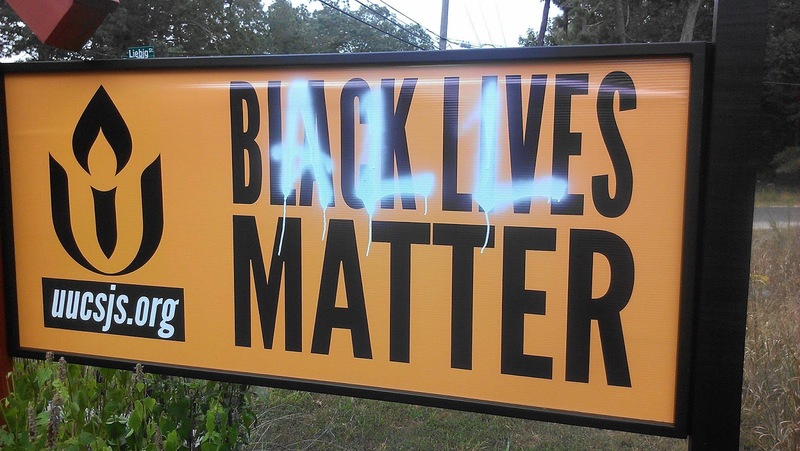 #BlackLivesMatter is an affirmation, and does not negate the value of any other life. Attempts to erase or overwrite the "Black" part of the affirmation, however, rather prove the need to assert it in the first place. It hasn't appeared to change any minds, but I feel less confused about the apparent "confusion." It was confusing to me at first. It seemed to feel like a punch in the face, like I was being accused of not loving my fellow human being when nothing could be further from the truth. Black people have been struggling to be acknowledged and respected in this society, which is a damned shame. We have had to be ordered by courts to desegregate our schools, ordered to provide equal opportunity for housing, education, and employment when we really as a society should have been doing this all along. I have accepted these with reservations, noting that much more was required of black people than of white people in these instances. However, I have also seen society change due to these enforced institutions as well. And I laud that. There is much to be done, but there are many white people including myself who are willing to help and don't want to be accused of bigotry. If Black Lives Matter is an awareness campaign, I can understand. But I think there is much to be done, and the organization should air an agenda and a list of goals. There are many things we should work toward, but knowing which are the priority of our people helps us focus on the right thing. I heard something today, the All lives matter movement has a leader. Much to my surprise, It's Glen Beck. And to me that explains a lot. The vandalism and the spray painting is very creepy to me. 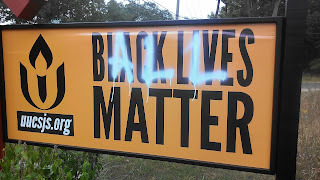 Let the Black Lives Matter people endorse the All Lives Matter bandwagon, those of them who will. 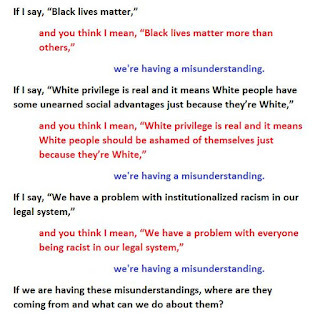 That way, there is no misunderstanding that they do not mean Black Lives Matter Most. Let the All Lives Matter people likewise endorse the agenda of Black Lives Matter with concern that there might be times when black people are targeted simply because they are black. That should be a concern. We should want to know it,if it is true. We should hope wand work to change it, if it is true -- and at least to some degree, it certainly is. Excellent article. Ginnyjollykid the organization has posted its objectives and goals on its website. But be patient. It is a grass roots organization started by a group of young people. It's not a corporate organization. It wa simply started by a hashtag. So organization may be slow. Thanks for this reflection. FYI our banner (UUCSJS) wasn't stolen. It's still up, it's all its defaced glory. And the photo was actually taken by me. Thank you for this important piece Cynthia. With the work we are doing here in California around Equity Ministry, hearing these stories is very important. One of the most important elements of the Black Lives Matter movement is RESISTANCE. Our congregations abilities to replace and repair the banners despite the vandalism is exactly the kind of resistance that is necessary. We cannot give up. 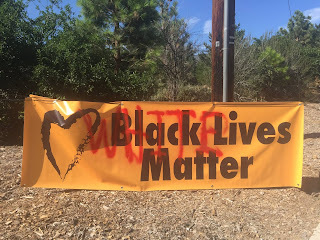 I also wanted to share that back in August the UU Fellowship of San Luis Obispo also had their banner cut down (http://www.sanluisobispo.com/2015/08/23/3774084/why-black-lives-matter-matters.html) They are replacing the banner and doing a dedication this coming Sunday. Resistance, resilience, resolve...RESULT! Thank you for bringing your leadership to help move our faith towards living our values. Black Lives Matter is the defining racial justice struggle of our time, and just as the Civil Rights movement was denounced as advocating "special rights" for Blacks, not the Black Lives Matter movement is being opposed with All Lives Matter - which as you explain, is really saying, Black Lives DON'T Matter. Thank you Betsy. I've corrected the information. UU Church of Indianapolis has had a banner cut down and two yard signs stolen. We are discussing where to put a new banner.